An immaculately presented one bedroom 2nd floor retirement flat forming part of this purpose built block built in 2013 by McCarthy & Stone. Offering a community feel, yet within a flat 5 minute walk of the town centre and presented onto the market with no ongoing chain. The property comprises a communal entrance hall with security entry system, which leads into a residents lounge area and office. There is lift access to the 2nd floor. The accommodation comprises a private entrance hall with a generous storage cupboard. The lounge/dining room opens onto a west facing balcony. The kitchen is well fitted complimented by an integrated electric fan oven, ceramic hob and fridge/freezer. 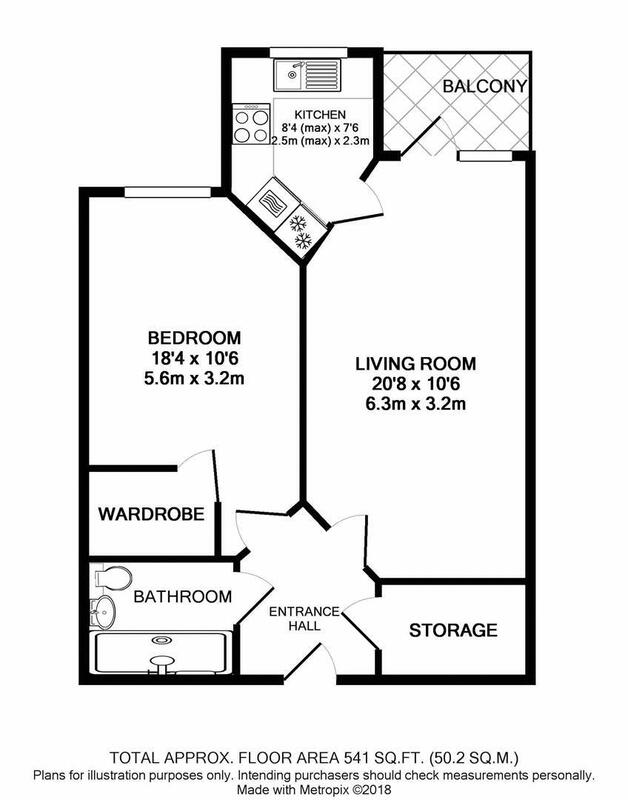 The large double bedroom benefits from a WALK-IN WARDROBE and the wet/shower room is also a particularly good size. Benefits include underfloor electric heating, double glazed windows, security entry system, a communal laundry room and duty house manager. Within a short walk of the mainline railway station and 5 minutes flat walk to the town centre. Guest suite is available for visiting family and friends.